The iconic Danish Margrethe Skål from Rosti Mepal, designed in 1954 by Jacob Jensen. 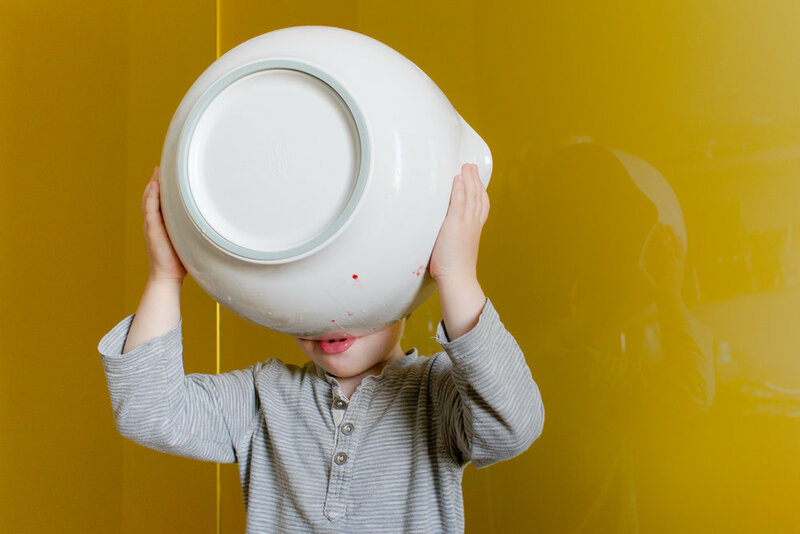 According to Anker, a bowl’s most important feature is the way it can be licked clean. As an avid cook (and one already dubbed “highly opinionated” by her exasperated second-grade teacher in 1985), I have a lot to say on the matter of mixing bowls. First of all, they are not the same as serving bowls, though the relationship between the two is less either-or and more Venn diagram, with the specifics depending a lot on intuitive factors. (For example, if you’re weekending in the woods, at a cabin furnished decades ago by somebody’s hunting uncle, there is likely no distinction to speak of and you’ll be lucky if you find a bowl at all.) Typically, though, serving bowls are more elegant and better at keeping foods warm at the table, whereas mixing bowls are more rugged, better suited to drip-free pouring, and often equipped with handy lids for storage. Made of plastics, metal, or hardy borosilicate glass, mixing bowls are also less breakable (if not completely shatterproof, and I speak from plenty of melamine-cracking experience). For me the choice is instinctive, and I tend to use mixing bowls for all the jobs that don’t entail presentation at the table. Second of all, dishwashers. Nearly anyone who doesn’t already own one plans to get one, maybe when they move, maybe sooner than that. It’s a rare bowl that’s so special it should be allowed to collect a pool of water in its upturned bottom over the course of a dishwashing cycle. And certainly no mixing bowl of mine has got any business dripping hither and yon as I extract it from the dishwasher, being so high-maintenance that I actually have to pour water out of its foot and wipe it dry before I can put it away. A bowl needs to be a workhorse, not a show pony. The third point concerns use of an electronic kitchen scale, particularly when cooking and baking temperamental things like meringues and flaky pie crusts, where precise measurements are essential. Not only does a scale obliterate the need for dirtying multiple measuring tools, but with dry ingredients like flour and cocoa, which trap varying amounts of air depending on transport and storage, weighing really is the only road to accuracy. 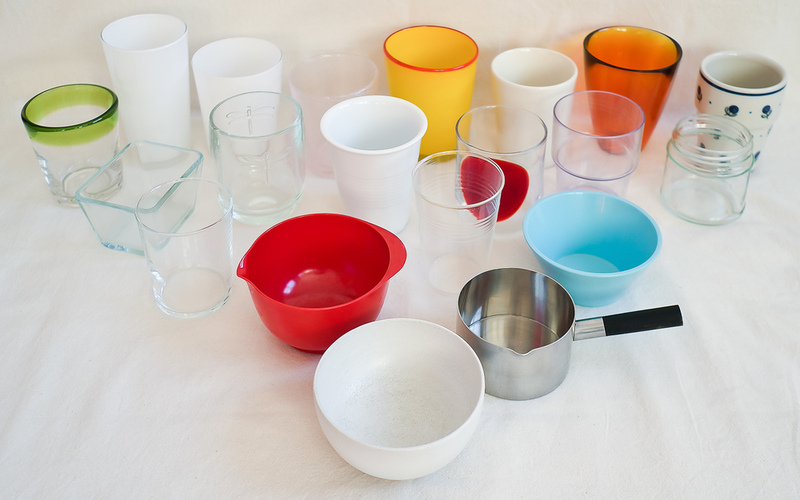 In fact, a “glass” or “cup” often isn’t one at all, as I discovered when I tested the volume of every single cup, glass, jar, and small bowl in my cabinet. Believe it or not, exactly none of them measured precisely 250 ml, nor did any measure the Yankee standard of 237 ml either. Not a single “cup” among the lot! Did I mention that weight measures and deployment of the kitchen scale also removes ambiguity as to which country’s cup a recipe’s author had in mind? Thus, the weight of a bowl in grams becomes relevant information, maybe worth embossing somewhere near the rim of the bowl. That way, if you accidentally abandon your measuring to answer the phone and your scale shuts off automatically, resetting tare info, you have the option of doing the math yourself. Hear that, industrial designers? I’m talking to you. Back to the perfect mixing bowl. For me, it starts with the classic Margrethe Skål by Rosti Mepal, though melamine is, admittedly, shatter-prone and possibly toxic. Though far less likely to break, polypropylene, too, has its downsides, being easy to scratch and difficult to degrease. Though colors are fun, the serious cook’s bowl is white or clear, because only then are the contents of the bowl truly visible. For added functionality, liquid measures should be printed or embossed on the inside and the bowl’s own weight in grams ought to be labeled on the outside. (That, I know, will be tricky from an industrial viewpoint, because the exact weight of machine-made products varies, either by unit or by batch.) The bowl’s rim would should be drip-proof and equipped with a pouring spout and a lip on the opposite side for holding the bowl steady. The bottom shouldn’t pool water when the bowl is turned over for washing, and for me skid-proof silicone is entirely optional. I also want a snug-fitting lid that goes over the bowl rim (not cork-style into it) to maximize storage volume. I offer these notes in part as a daydream, in part as homework for the participatory design course led by Marta Morawska at Warsaw’s “ę” Creative Association. I have a feeling all this thinking about ergonomics might just lead to something interesting—which may or may not be a bowl.